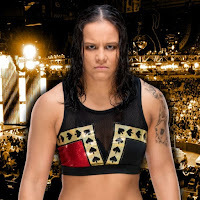 - Shayna Baszler was dethroned at NXT TakeOver: Brooklyn IV by Kairi Sane who became the new NXT Women’s Champion. Sane picked up the victory over Baszler after she reversed a choke-hold into a shoulder pin-fall. Baszler was not too happy about the way Kairi won. In a backstage interview, Baszler gave her two cents about her loss. Baszler, accompanied by her fellow four-horsewomen, said that Kairi Sane didn’t beat her, she lost. She said that Kairi’s skills did not win last night but it was an error on her own part that ended up giving Sane the victory. You’re gonna be like everyone else? You don’t know wrestling when you see it, huh? Kairi did not beat me tonight, I lost. Kairi’s skill did not win tonight, let me make that clear, I lost. I am the better fighter. A new standard-bearer for a growing @WWENXT division and the #WWEEvolution in our industry.